A Better Finder Rename is the most complete renaming solution available on the market today. That’s why, since 1996, thousands of hobbyists, professionals and businesses depend on A Better Finder Rename to organize and maintain files. 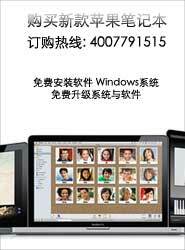 A Better Finder Rename 10.40 2019-3-24 这是Mac平台上的一款强大的批量重命名工具，可以通过搜索功能改名。操作简单，..
A Better Finder Attributes 6.0.6 2017-10-19 一款Mac平台下能够帮助我们实现批量修改图片文件信息的小工具，不但能够更改图..
A Better Finder Rename 9.5.2 2015-8-2 管理组织文件 支持批量命名文件 这是Mac平台上的一款强大的批量重..